No one’s arguing that Boston’s not objectively the greatest city ever to grace the planet -- except maybe New Yorkers, but how credible can someone who doesn’t appreciate the model-level handsomeness of Wally the Green Monster really be? 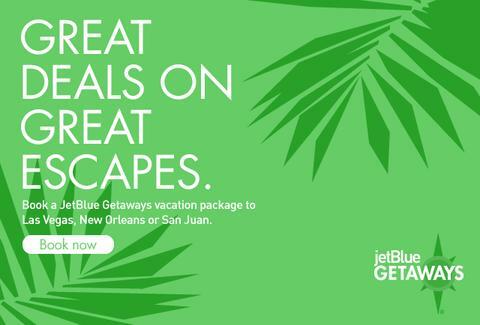 In any case, some time away from Beantown can be a beautiful thing, so check out the JetBlue Getaways vacation packages featured below for some out-of-town living it up. Picture flying away to Las Vegas, New Orleans, or Puerto Rico, because the mercury in the thermometer shouldn’t be the only one getting down this season.